in disbelief and just think how your dreams have come true. But, has your nightmare’s just begun? If you’ve been hunting long, we’ve all seen several “world record whitetail” pop up only to have them followed quickly by ridicule and accusations for some sort of wrongdoing. Sadly, this has become the norm and for good reason and of 95% of the time, it’s true. 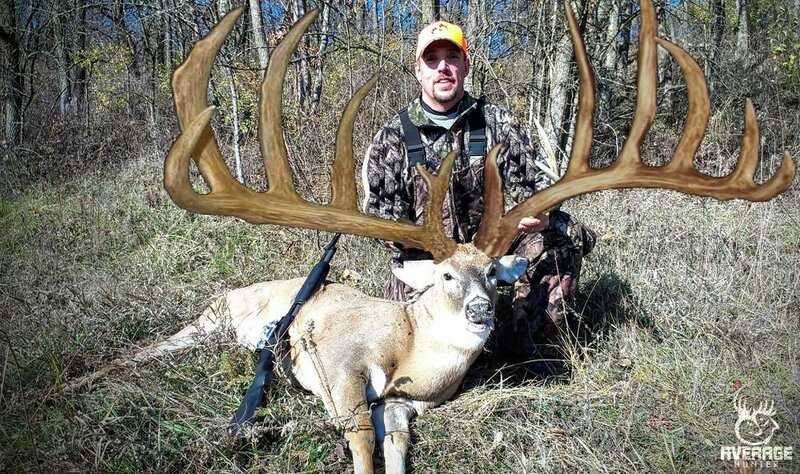 But this monster buck you just shot is totally legal and everything is done right. You have nothing to worry about right? Wrong!! As soon as you post a pic online, there will be haters and finger pointers saying you did something wrong. We are living in a guilty until proven innocent world and we have to prove everything to everyone. If you really want to tell everyone about this deer or try and become “famous” from this deer, let me give you a few tips to make your life a lot easier with your new trophy buck. The following is my response to the hunters that want to tell the world about their deer and maybe reap the rewards that may follow. I know many of you may not care about any of that therefor won’t worry about it. If that is you, then I hope you at least let the deer be seen but just keep every bit of details about it hidden. First off, do not post any pictures to anyone yet. Not even your best bud or your sister. You need to treat this as if you just found a dead body in your backyard. Your first instinct should be to call the authorities and “prove your innocence” before any accusations are even made. It’s sad, I know. But this is how this world has become. But I’m not saying to call the FBI and and get CSI out there to inspect the scene, but just call the local game warden and explain the situation. He/She should understand the circumstances and realize that the deer needs to be processed quickly so they should be able to get to you quickly and verify that everything is totally legal and you are good to go. This is the time to where you hope had that video camera rolling. Not because you can’t wait to upload it to YouTube and start to become famous, but because it’s proof of where you were when you took the shot. Start taking pics of everything with every distinct landmark in the background. Again, I wish I didn’t have to say this, but you will have to prove your innocence and it will be very important if you really do have the next world record whitetail. So, everything has checked out and you’ve been cleared by the game warden. Now is the time to start thinking about your future. You just won the deer hunter’s lottery and with that comes a lot of people knocking down your door wanting to see that deer and potentially pay you to do that. You could literally be spending the next 20 plus years doing nothing but traveling around the country with your deer stopping at every sporting goods store and hunting expo showing off your deer. With all of that, comes deals, contracts and people trying to buy your deer, buy your molds and trying to rip you off. Play it safe and be protected. so they could record the deer for conservation purposes only. I would post pics about it but only without me in them and I would say the deer was harvested in Canada or somewhere far away from where I was hunting. But if you do find that dream has come true and want to take full advantage of winning that lottery, please consider my advice above. I’ve seen too many good hunters be torn down and ripped apart by trolls. Leave a comment and let me know what you would do if that dream came true. Heather. The extremist aren’t really the issue with a lot of this. It’s the jealous hunters out there that can’t stand someone else succeeding. Those are the ones that will troll and point out every possible scenario of that dream being fake or taken illegally. Again, this is just another case to where we are our own enemies. Plus If you let it be known where you got it , every place close enough to you will be leased up! This happened to me years ago, now I don’t tell a soul about my deer and don’t even get them officially scored! Plus all your hunting friends will hate you! Robert, All of that is becoming more and more common with a lot of hunters. Photo shopped much lol. you forgot to cover the antler sticking out behind the fake one lol. Yes, it was obviously photoshopped and meant to look fake. Kinda the point.